I mentioned this earlier today and figured I’d post it up. 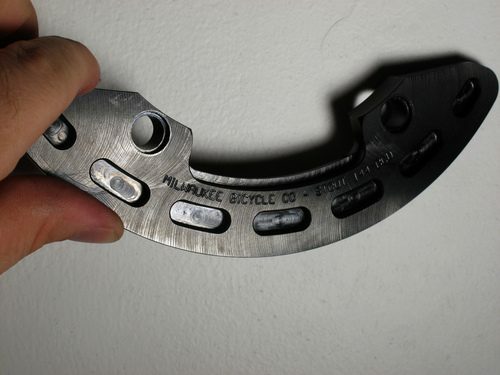 Milwaukee is now making the Stout chainring guards in blackened steel. Steel will last longer and grind on more surfaces. It’s gonna spark like hell too! The machined lines really show nicely and the finish is spot-on! This is a prototype, so the production batch should be done soon.